One of my favorite childhood memories centers around my sister and I playing in the far back garden at my parents’ house. In that area were three satsuma mandarin trees and a grapefruit tree. Nothing was sweeter in the spring than the aroma of the blooming citrus trees. In the summer, we would pretend that each tree with its drooping branches was a house, and in early fall, when the fruit ripened, anytime we were hungry or thirsty, we would just reach up and pull a satsuma off the tree, peel it, and then eat it. Talk about carefree times. 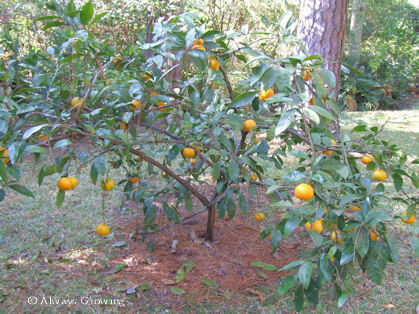 When I finally had my own home, one of the first plants that went in the ground was a satsuma mandarin (Citrus reticulata). 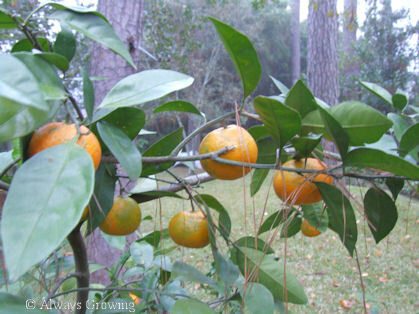 This is the citrus of choice along the Gulf Coast because it can take colder weather (temperatures in the mid teens). While this small tree does need full sun to do well, ours grows under pine trees and still does fine. For us, the best thing about this fruit is the ease of peeling it and the lack of seeds. The peel of a satsuma is a little leathery, but is easily pulled away from the fruit. No knife required. Ours also has little or no seeds, another plus when snacking. The flavor is sweet and not very acidic – perfect for a simple dessert after any meal. While these citrus trees are hardy to zone 8b, they can be grown in colder areas in containers that can be brought in when temperatures hit the mid twenties. An unheated garage where temperatures do not get below twenty would be fine. Since these trees will grow four to six feet in a container even after many years, they could also be brought inside a house for the winter. Having this wonderful fruit around at this time of year is doubly appreciated. First is the great taste, and second is the wonderful memories of childhood. Living in the Deep South, there is not the gorgeous fall color here that graces more northern climes. I have often lamented that fact, and as much as I do enjoy gardening in a warmer climate, I do wish there was more autumnal color. What little color we do have is usually not apparent until late November. That is when the tallow trees, crapemyrtles trees, some Bradford pear trees, and a very few others will start turning because by then, we will have had at least one cold snap. This year is no different. 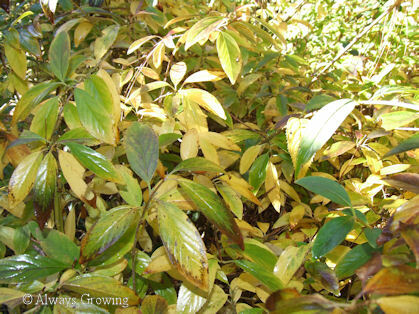 The forsythia is another plant that gives us a little color. It has just started turning a bright yellow. Our lone Bradford pear tree is still green, and it usually doesn’t turn red until almost Christmas when the rest of the country is looking at snow. 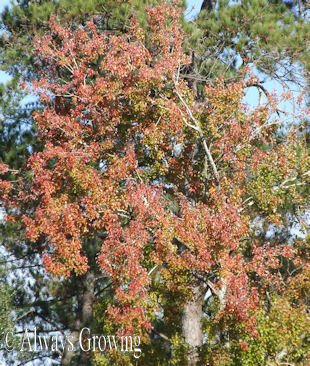 With this tree in all its autumnal glory situated right in the middle of the front yard, it does make it a little difficult to get in the Christmas spirit when looking at fall colors of yellow, red, and brown. Well, at least having a little fall color for Thanksgiving is nice and is better than nothing. Now, it is on to winter for the garden since colder weather has arrived. 108. That’s the number of bedding plants that I planted today. My sister and I went on what we call our “garden field trip.” This is when we travel away from where we live to buy plants. About forty to fifty miles away are nurseries that seem to carry different plants than are available around home. Some of these nurseries are much bigger than the ones here, so there is more variety in plants. 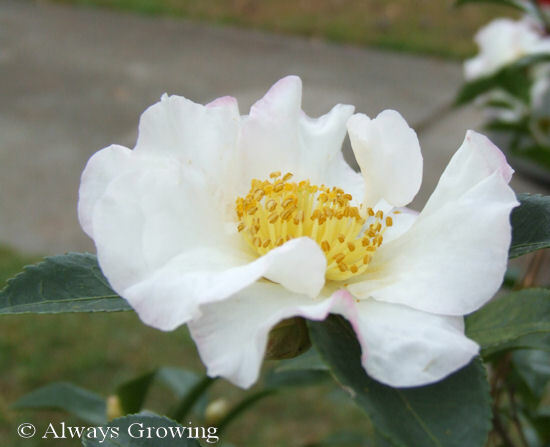 One of the first plants I picked out is a sansanqua camellia, Cotton Candy. 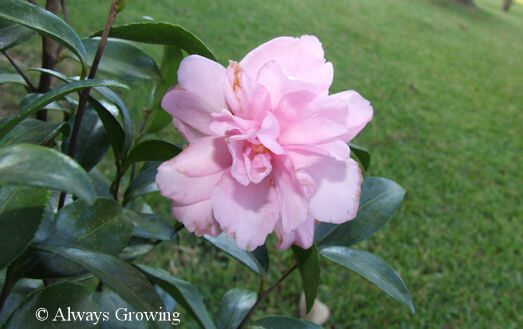 It is a lovely pink and will fit in nicely in the “pink” garden. I like the sansanquas because they start blooming in the fall and into early winter when there often can be little blooming in the garden. We visited two nurseries in the Baton Rouge areas, and both had bedding plants in six packs. Last year, I could only find two inch pots of the bedding plants, and since I would need so many, it was cost prohibitive to plant as I usually would. I don’t know if it is the economy or what, but this Saturday, the six packs were plentiful. Because of our fairly mild winters, we plant cool season annuals in the fall, and since our ground never freezes, the roots continue to develop. 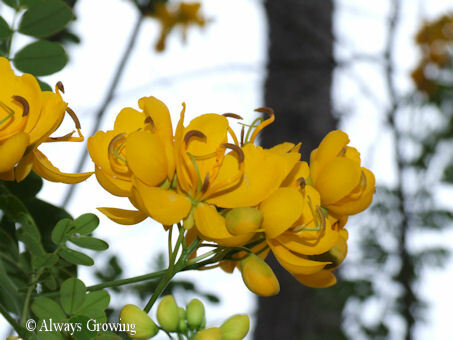 Which means that come spring time, we have good size plants that bloom profusely. 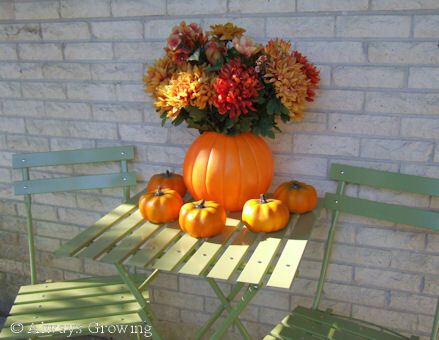 If you wait until February or so to plant, you do need the four inch pots because planting that late means you need the bigger plants a four inch pot provides. Anyway, I am just glad they brought back the six packs as this means I was able to plant several areas that I didn’t last year, and then those areas of the garden will be looking extra nice come spring. For bright, cheery flowers, you just can’t beat the pansy family. 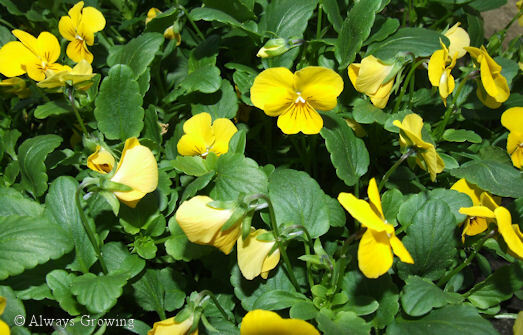 The last few years, I have been planting only violas because they seem to give more color. Those hundreds of blooms make up for the small size of the flower. I really like the panolas the best, but I haven’t found them as readily as violas or pansies. There were some available this Saturday, but they were mixed colors, and I like to plant only one color in an area so I went with the violas. I always put yellow flowers in the circle garden because I love the way their bright color cheers up those gray winter days. The entry garden’s color scheme is red and purple. Usually, I plant dark red and dark purple petunias in the fall. Last year, I only had the dark purple because I couldn’t find the dark red ones I like. This year, same problem. No dark reds. 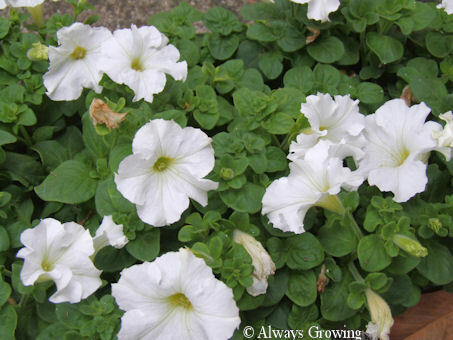 So, I have decided to go with white petunias. Maybe they will look like snow this winter. I think I will like the white better come springtime. I have missed having lighter colors when spring arrives even though the red and purple make a great combination. Finally, comes the snapdragons. I’ve learned from my sister to always choose fall bedding plants with spring in mind. Since these plants will really shine then, it is better to plant spring colors, even though it is fall with winter approaching. 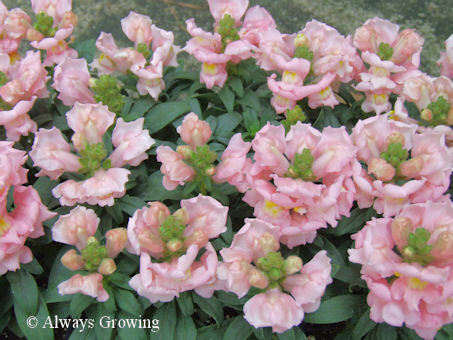 With that in mind, I choose to purchase light pink snapdragons. They are a lovely color and will look great in the “pink” garden. I finished planting as darkness was falling, so there are no photos of how these look in the garden. 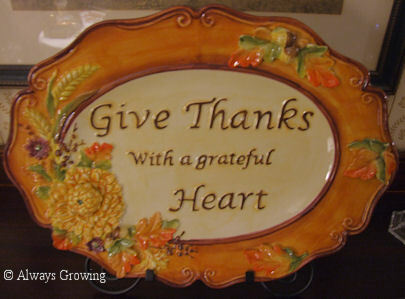 I will try and get some pictures tomorrow to post. 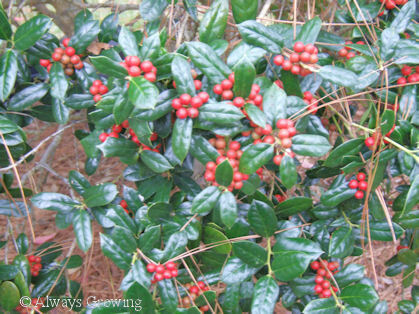 Even though the plants are small, they still look good and bring that promise of springtime color. 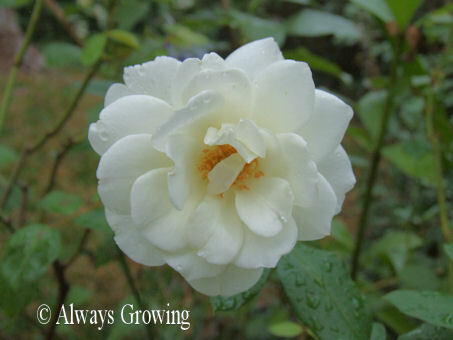 It seems that gardeners are always looking for plants that will bloom in the shade. 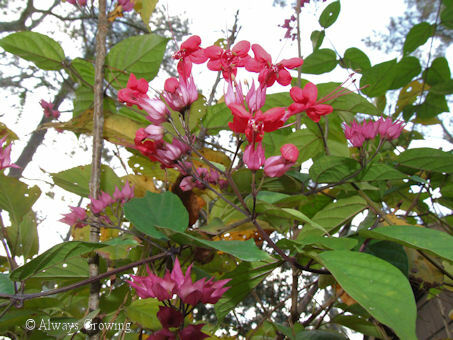 A vine that I have found blooms well with only a few hours of sun is the red bleeding heart vine (clerodendrum speciosum). I think this must be a short day flowering plant because it has just started blooming again as it did in the springtime. This variety of bleeding heart vine has red flowers and lavender bracts and seems to be a little more cold tolerant than the white variety. 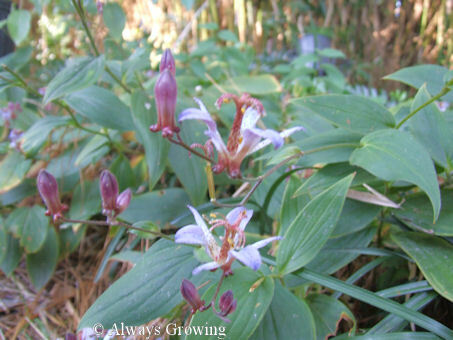 I have mine growing in my zone 8 garden, and while it has been frozen back to the ground, it has reliably returned after very cold winters with only a light mulch to protect it. So, add one more plant to flower in the fall. 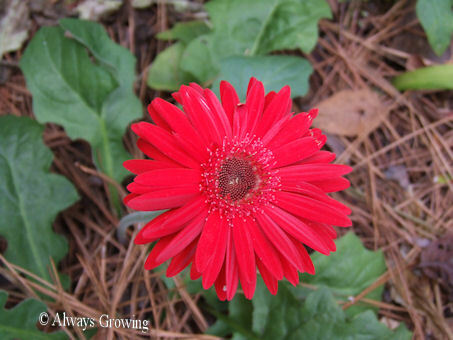 I’ll have to post about the gerbera daisies that are starting to bloom again now that cooler temperatures are steadily staying around. 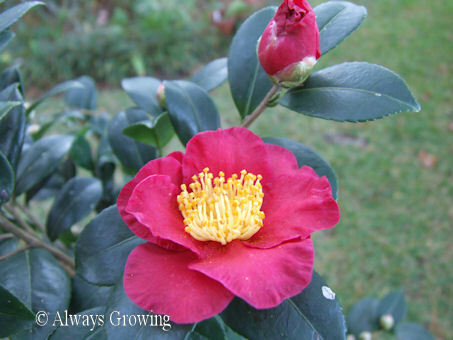 The cooler weather of autumn brings about a second big blooming period in the Deep South. 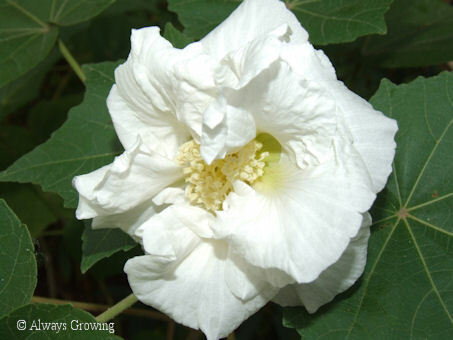 Last posting showed the golden flowers of the cassia that started blooming this month, now, I want to share my favorite fall flower, a perennial hibiscus that is commonly called Confederate Rose or Cotton Rose around here. This is the hibiscus mutablis, a color changing flower. 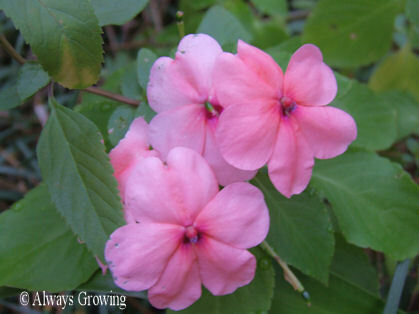 My original plant has flowers that start out light pink and then gradually change to a dark pink as the day wears on. About two years ago, I found the white variety. 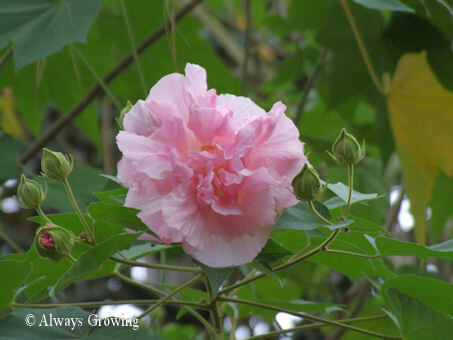 This flower starts out white and gradually changes to pink as the day passes. Unfortunately, I do not have a photo of the white changing to pink. Because of the cold temperatures of this past weekend, the flower kept its white color until I went to work. 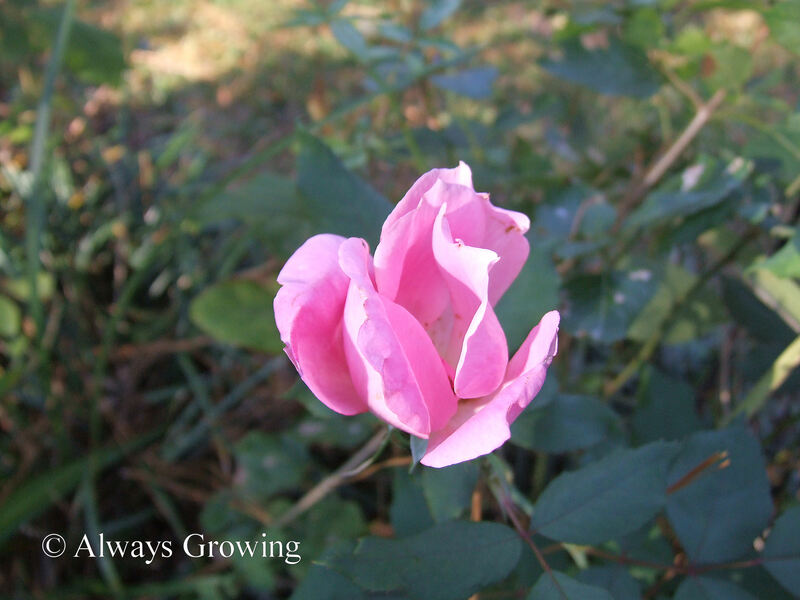 When I returned home, the flower was a dark pink, but it was also all curled up and ready to drop off the plant. But, take my word for it, this flower does go from white to light pink and then to dark pink. 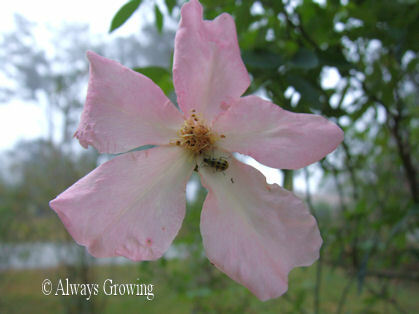 Since my original pink Confederate Rose is over seven years old, it is about twelve feet tall, a nice, small tree. However, at that height, the flowers are a little difficult to see unless you are looking out the second story window. The new white one is only about four feet high. I think I will try and keep it to under seven feet so the flowers will be more accessible. I have rooted a new pink one which I also plan on keeping short. It is nice to have some different flowers blooming now, and it certainly gave me something to look forward to when the heat of summer made flowers in the garden a little scarce.